This two-day, intermediate level, seminar is designed to provide the medical professional with the information, evaluation skills and treatment techniques to effectively manage disorders of the thoracic spine. Course participants will learn a systematic approach for evaluating and treating dysfunctions of the thoracic spine. Instruction begins with anatomy, physiology and biomechanics and progresses to assessment of soft tissue, joint motion and the interrelationship between biomechanical motions in the thoracic region. The participants will be led through the specific evaluation and treatment plans using and applying manual techniques as well as learning to utilize the most appropriate therapeutic exercises to maximize outcomes. Thorough discussion and laboratory time will provide the tools necessary to identify the underlying mechanism of thoracic dysfunction when dealing with hypomobility, compression fractures, scoliosis, positional faults, disc, joint and rib motion dysfunctions and pain. 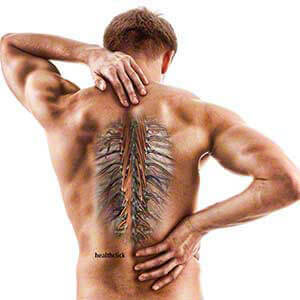 In-depth understanding of the thoracic region will enable the participants to fully participate in the treatment discussion and lab sessions detailing differential diagnosis, manual techniques, therapeutic exercises and home maintenance programs for specific disorders. The interrelationship between the cervical-thoracic, thoracolumbar and shoulder complex will also be examined. Participants will gain the skills necessary to identify the underlying mechanism of injury and treat appropriately. A comprehensive course manual with illustrations and step-by-step instructions will assist the clinician in their understanding of the material. The skills and techniques learned in this class can be immediately applied in the clinical setting. Recognize the functional anatomy, physiology and normal biomechanics of the thoracic spine and ribs. Perform palpation to determine normal and abnormal biomechanics. Identify the interrelationship between the cervical/thoracic region, thoracic region and shoulder, thoracic spine and ribs and the thoracic/lumbar region. Perform a thorough evaluation of joint motion in the thoracic and rib region in supine, prone, and sidelying and be able to differentiate between muscular and joint restrictions. Perform specific muscle techniques to decrease hypomobility at specific segments. Recognize when to utilize thoracic disc traction, thoracic facet traction and joint gliding techniques. Identify appropriate breathing patterns and how they affect the thoracic spine and ribs. Perform provocation alleviation tests and special tests to identify the source of dysfunction. Identify which segmental level is the source of dysfunction and develop an appropriate treatment plan utilizing joint mobilizations, muscle energy and exercise to achieve positive outcomes. Develop comprehensive treatment programs for the thoracic spine and ribs to restore normal function. Develop home maintenance programs to maintain patient results. Utilize appropriate terminology when discussing evaluation and treatment programs. My approach to orthopedic dysfunction combines an eclectic approach of joint mobilizations, muscle reeducation, manual therapy, exercise and education.